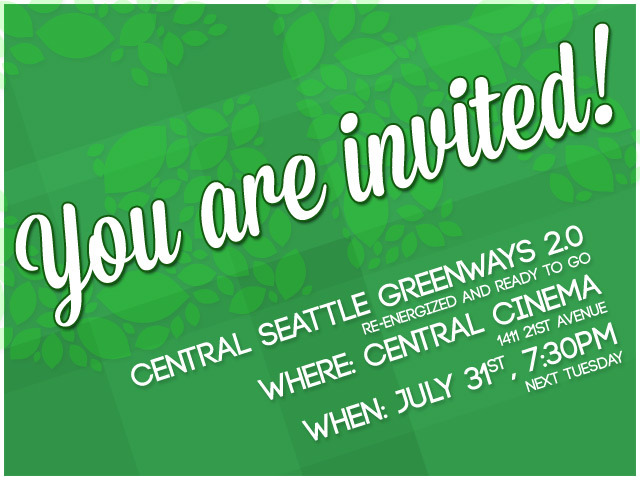 We need you next week at the 520 meeting! 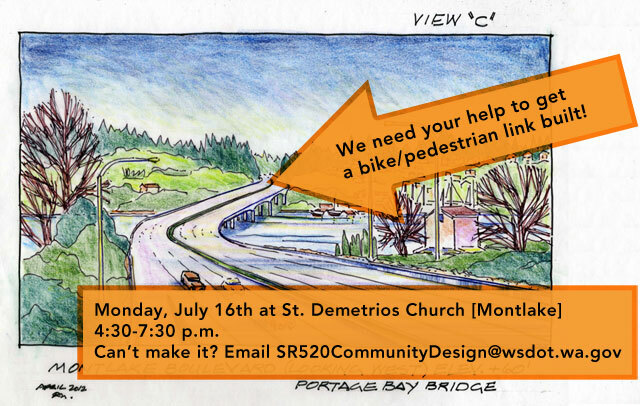 Next week is the last Community Design Process public meeting for the 520 bridge project. 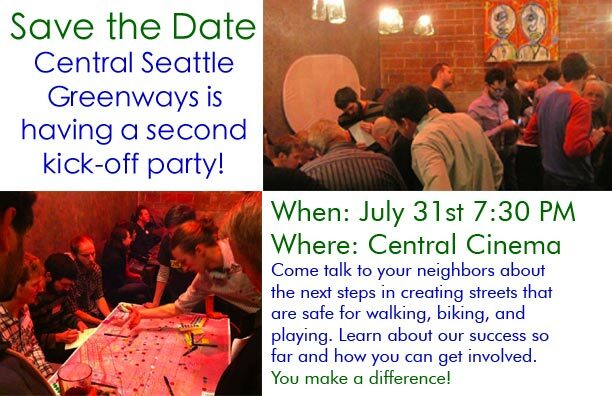 We need your help to ensure that the project links our communities together with high-quality and family-friendly pedestrian and bicycle infrastructure. If done poorly, this massive construction project could make it even more difficult for people ages 8-80 to get around on foot or on bike. 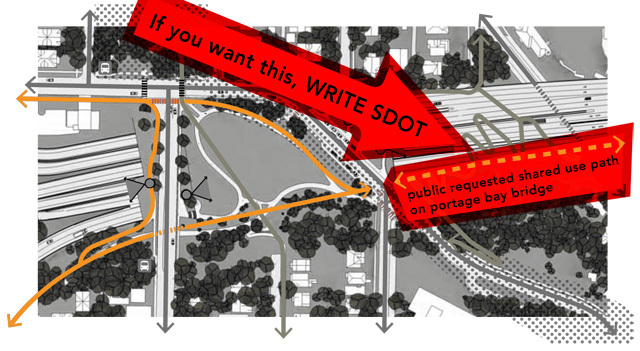 Our largest ask of WSDOT is the continuation of the multi-use trail from Montlake to Roanoake. Building this trail will better connect all of the surrounding neighborhoods and the region. Last Friday’s Muffins on Melrose! 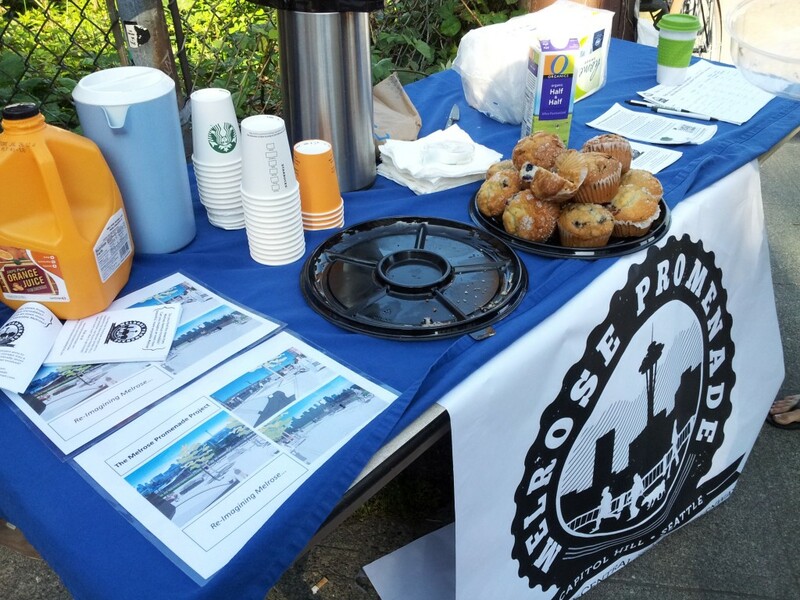 “On Friday morning, we greeted morning commuters at the corner of Melrose and Denny with free muffins, coffee, and conversation at our second Muffins on Melrose event. Thank you to the dozens of community members who stopped by our table to learn more about our vision for the Melrose Promenade, and especially for all your encouragement and helpful advice. Thank you also to our volunteers who helped make the event a success! 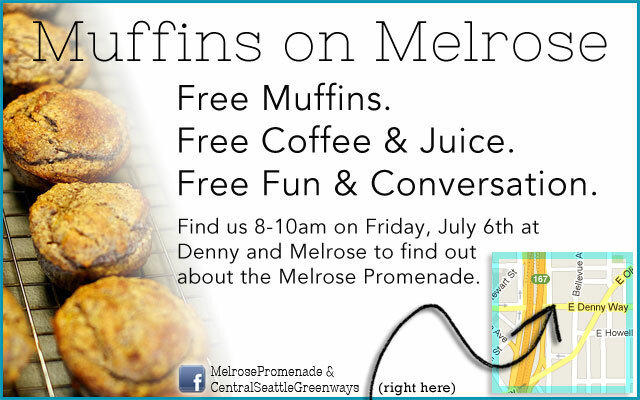 Next Friday: Muffins on Melrose!